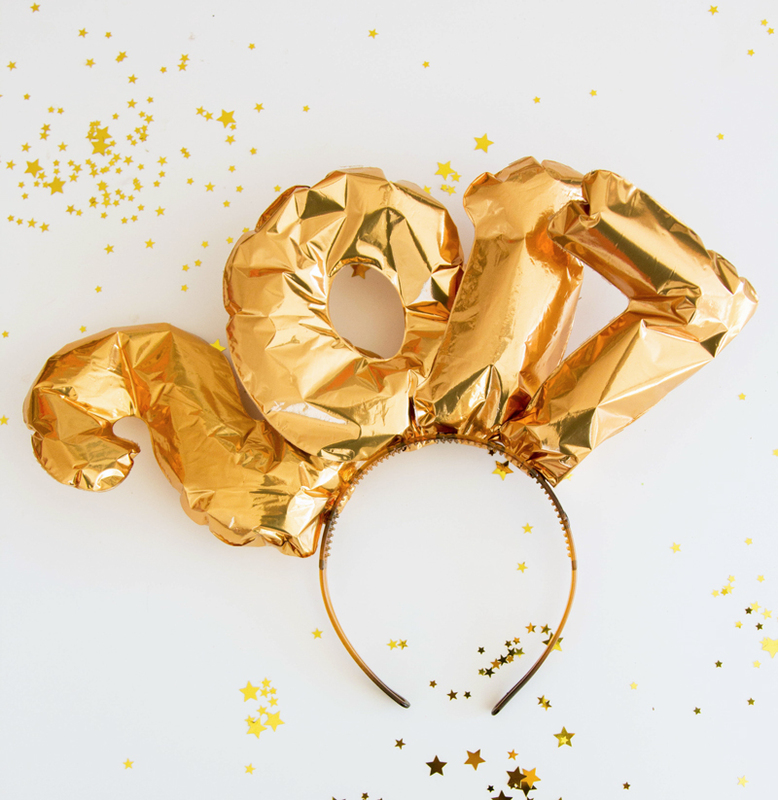 We all loved the disco headbands from a couple years ago, so I wanted to bring back the concept this year with a NYE balloon headband. This headband is so great! 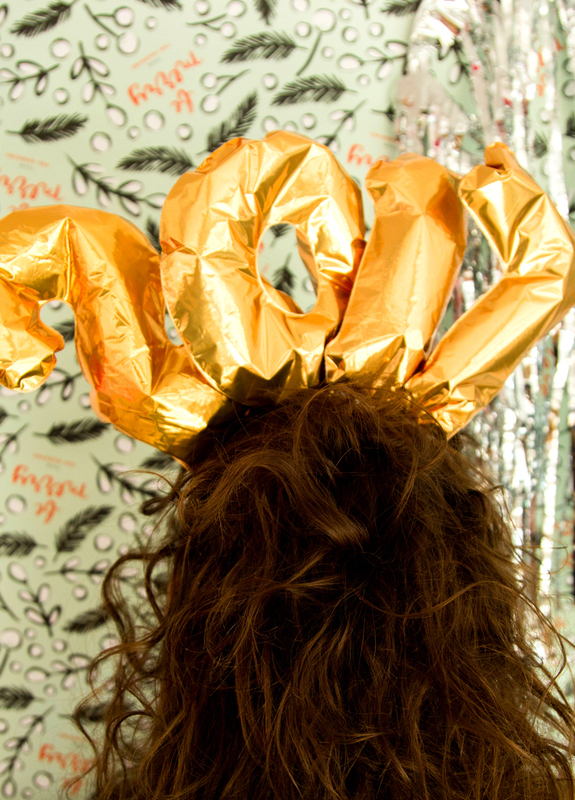 It is basically like a party on your head, which is exactly the right note to hit on New Year’s Eve. 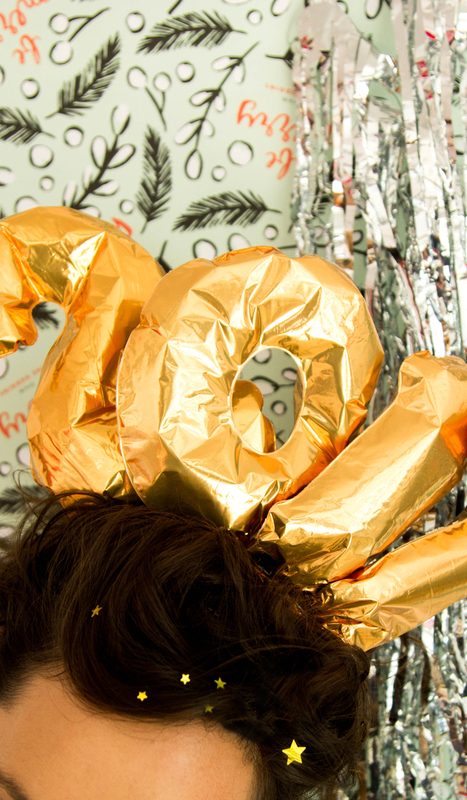 To create this fun party look start by blowing up the balloons. Tie the bottom tabs around the headband, then use a little hot glue to set into place. 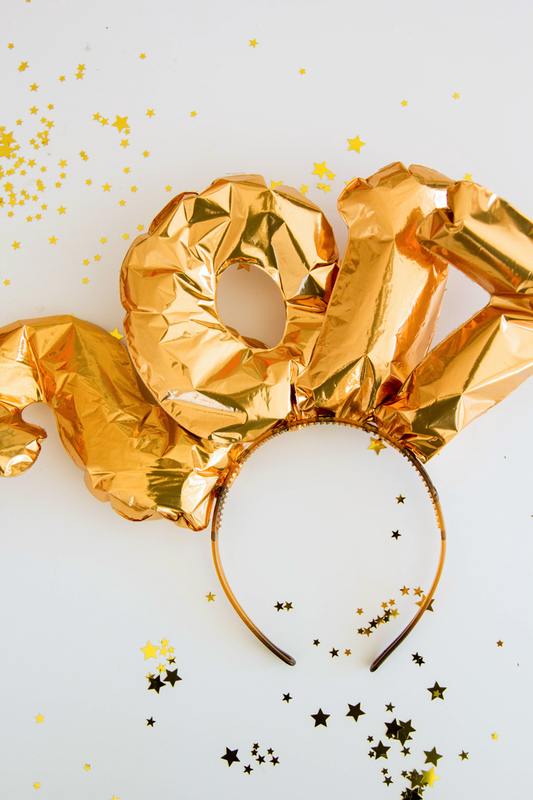 Rock the style with a sprinkling of gold stars in your hair for New Years Eve photos that you will adore. PS. A NYE balloon drop and confetti cannons!